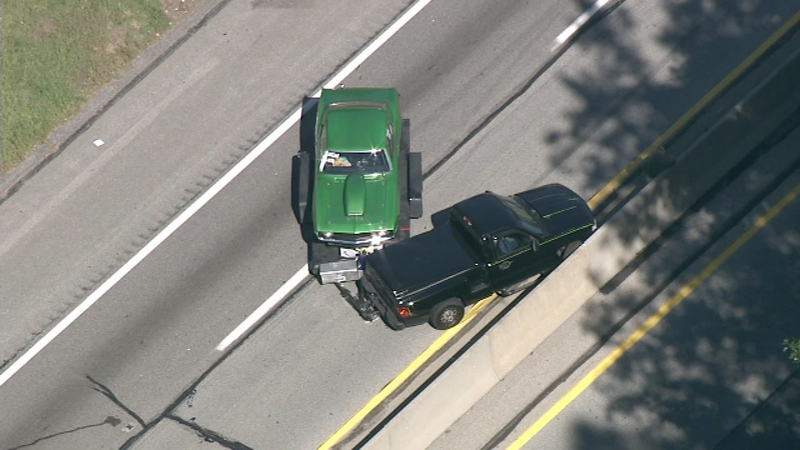 Chopper 6 was over a crash in the westbound lanes of the Pa. Turnpike in King of Prussia on Thursday, October 6. 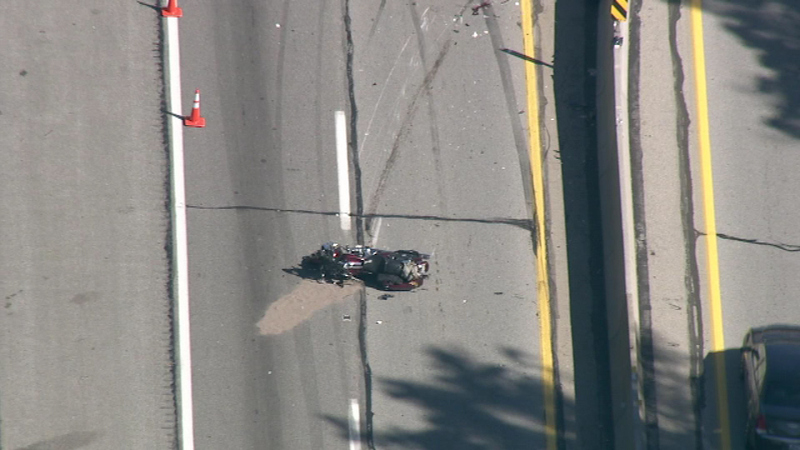 TREDYFFRIN TWP., Pa. (WPVI) -- A motorcyclist was killed in a crash on the Pennsylvania Turnpike in Tredyffrin Township, Chester County. 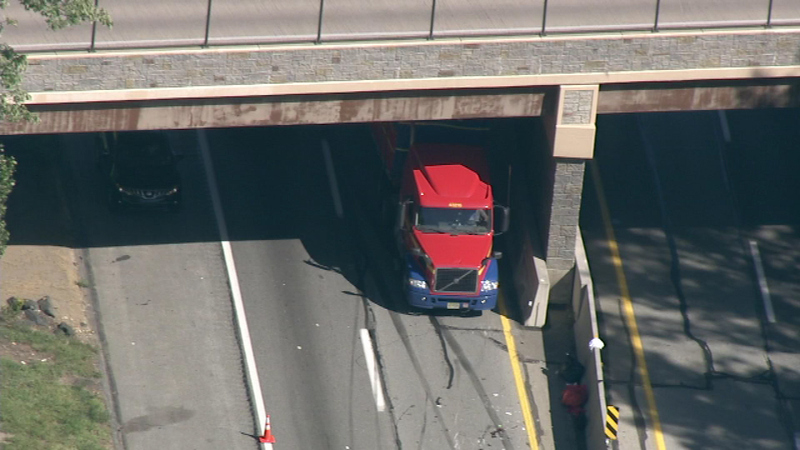 It happened just before 1 p.m. Thursday in the westbound lanes of the turnpike, just west of the King of Prussia Interchange. 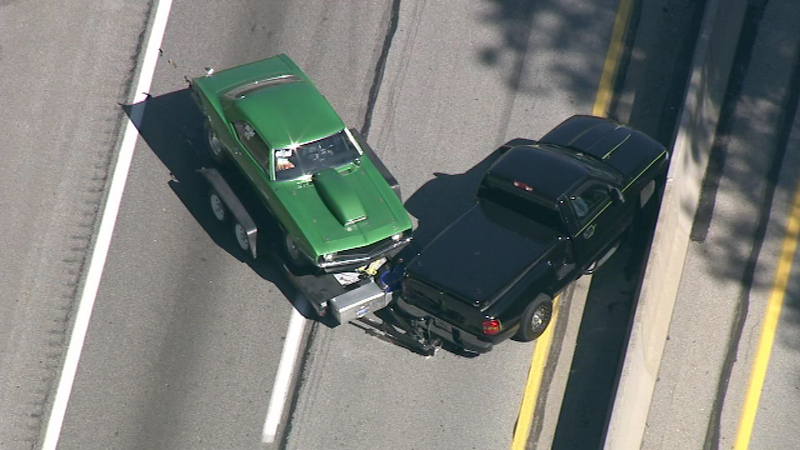 Police say a Chevy Silverado was traveling westbound when it hit a state police patrol car on the side of the road. 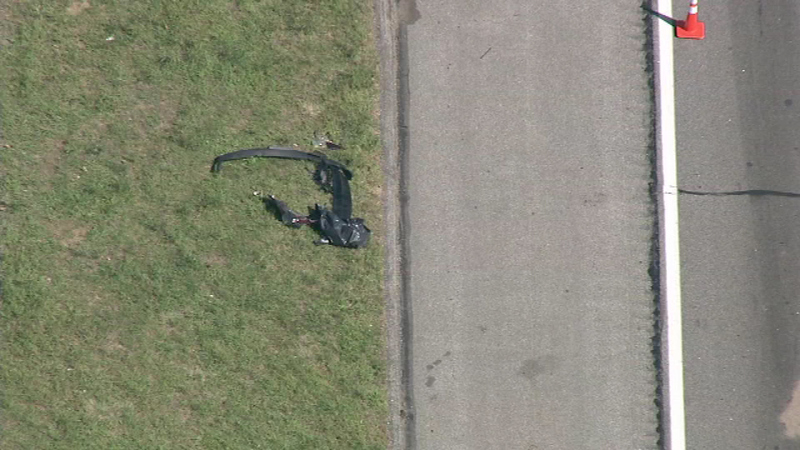 The Silverado then hit a motorcycle, knocking two people off the motorcycle. 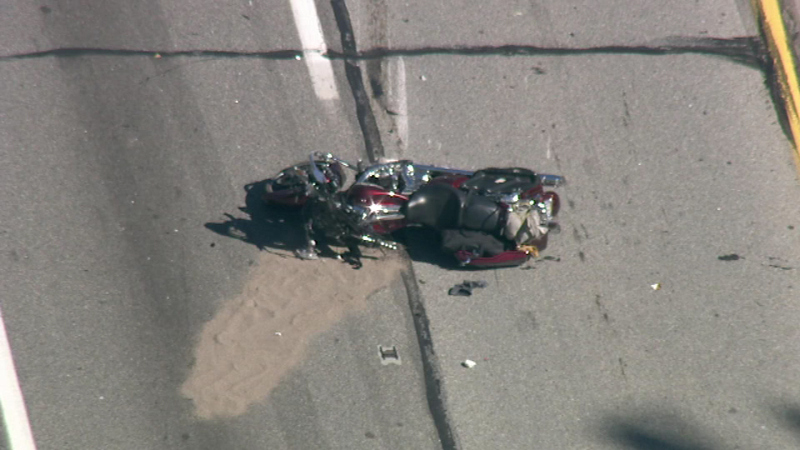 The male driver of the motorcycle, from Mount Pleasant, Pennsylvania, was taken to Paoli Hospital where he died a short time later. 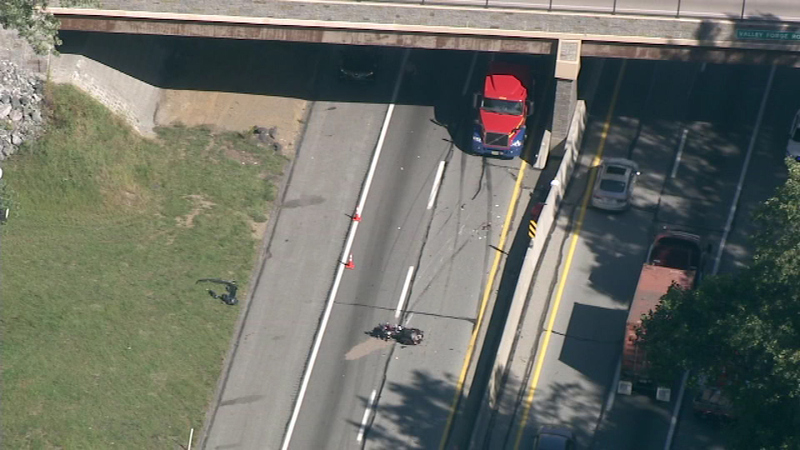 A motorcyclist was killed in a crash on the Pennsylvania Turnpike in Tredyffrin Township, Chester County. His identity has not been released at this time. 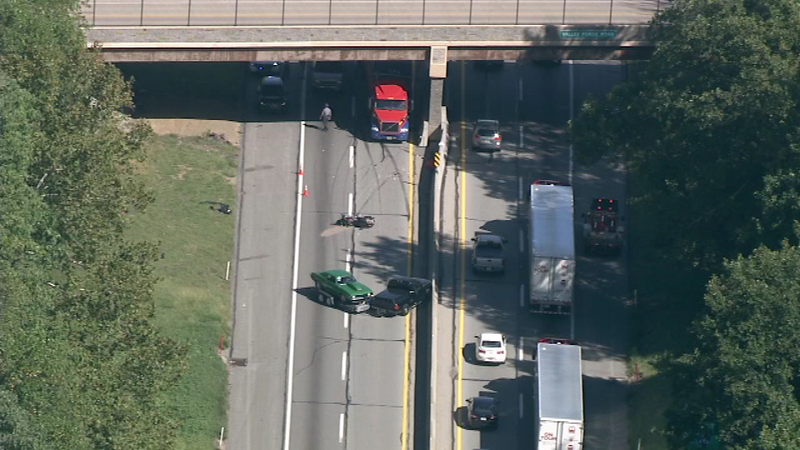 A passenger on the motorcycle, identified as Diana Yedlick of Danora, Pennsylvania, is being treated for nonlife-threatening injuries at Penn Presbyterian Medical Center. The driver of the Silverado was unhurt. 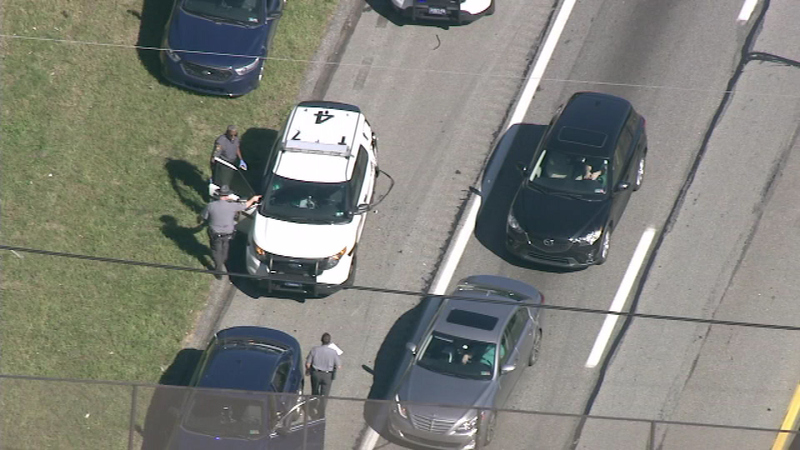 The crash caused the closure of the westbound lanes for seven hours while officials worked to clear the wreckage and investigate the incident. 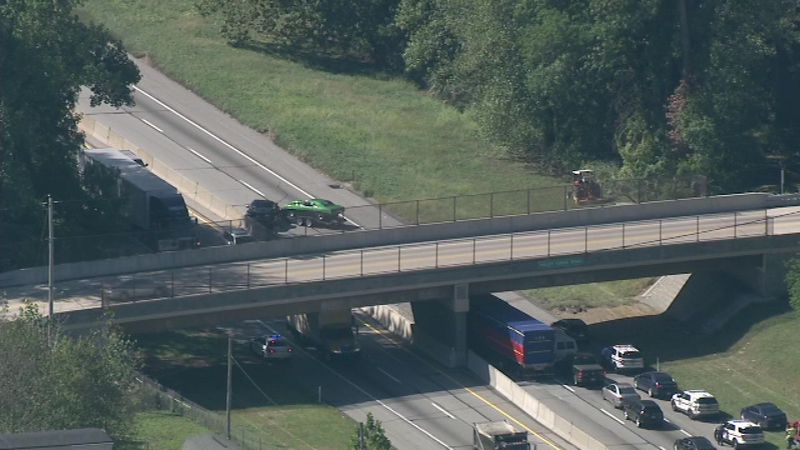 All lanes re-opened around 7:30 p.m.
No word on arrests at this time.